Hollywood, FL – Hey guys! It’s good to be back. 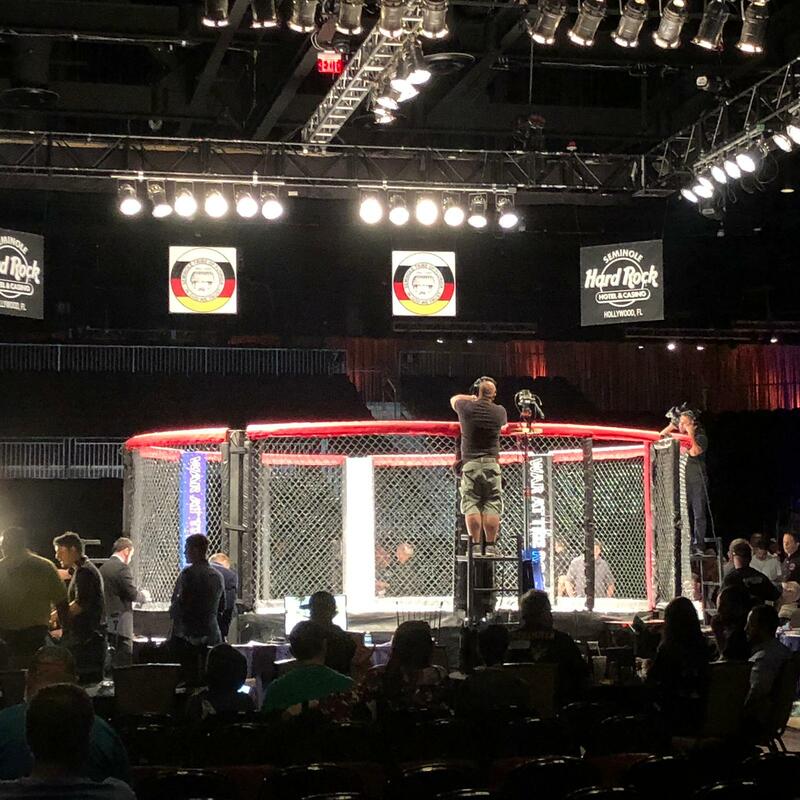 This past weekend was War at the Rock at Hollywood Hard Rock Seminole Casino, an exciting event put together by HIGH END SPORTS CHANNEL, under the promotion of Action Fight League. In the Blue Corner, representing Miami freestyle Academy was Adrian Garcia. 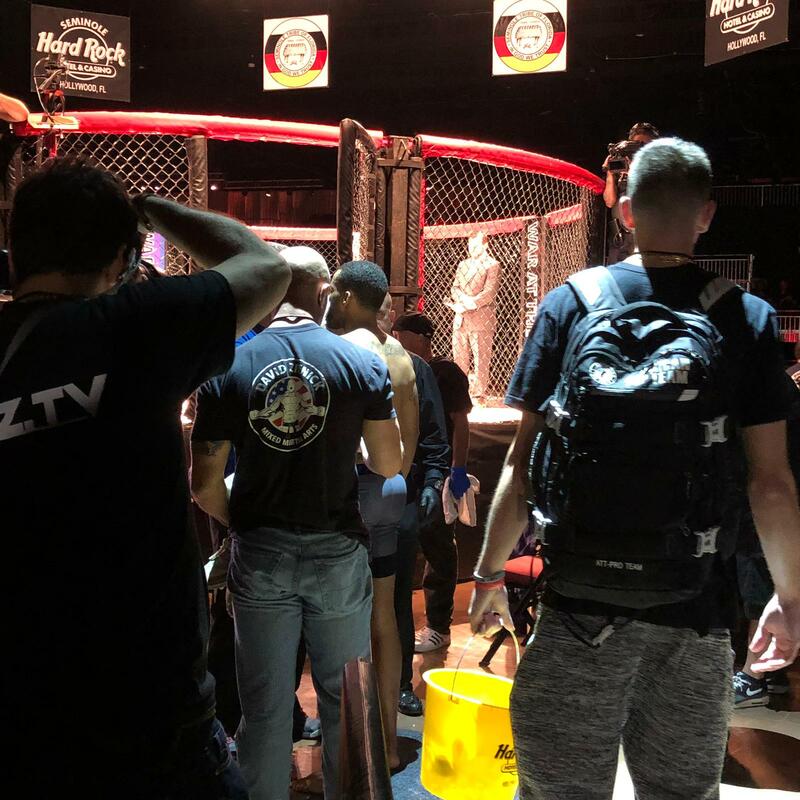 In the Red Corner, from American top team was Devon Lira. Lira came in aggressively, applying heavy pressure, while Garcia was landing a lot of clean, right-handed hits, but did little damage. Garcia had the height Advantage, so he succeeded at keeping Lira at a distance using his long arms and legs. Adrian Garica Won by decision, which is awesome considering he’s from Miami. The 2nd fight, at lightweight, was between AJ Smith from Nevada, fighting out of the blue corner. Out of the red corner was James Hayes from Coconut Creek. Hayes came off very strong, using mostly takedowns. Smith was at the bottom for the most part. This fight was a lot of “lay and pray” from Smith. Hayes committed to his wrestling and kept bringing it to the ground for the most part. By the 2nd round, Smith was working his Superior striking skills, weaving in and out, throwing good jabs. Hayes was able to implement his plan, going for the take-downs, and holding Smith down with plenty of ground and pound. James Hayes won this fight. In the blue corner, we had Derek “War Machine” Wilson from Atlanta Georgia. 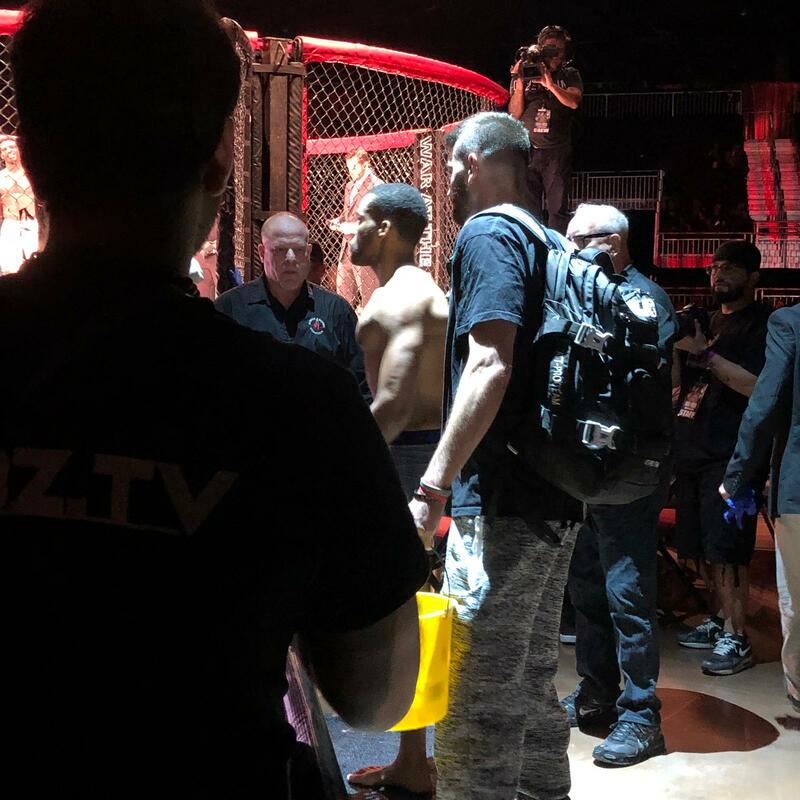 In the Red Corner, representing American Top Team Fort Lauderdale, was Delano Taylor. This was a good fight. There was a lot of power between these two. Taylor was the superior wrestler, while Derek Wilson was the better Striker. Taylor had incredible power in his right hand, and on many occasions, he was able to knock the mouthpiece out of Wilson. Taylor was in control for most of the fight, letting his haymakers and his wrestling dictate the fight. Wilson had some great clinches the few times he was in the cage, but it made little difference. Delano Taylor was declared the winner. 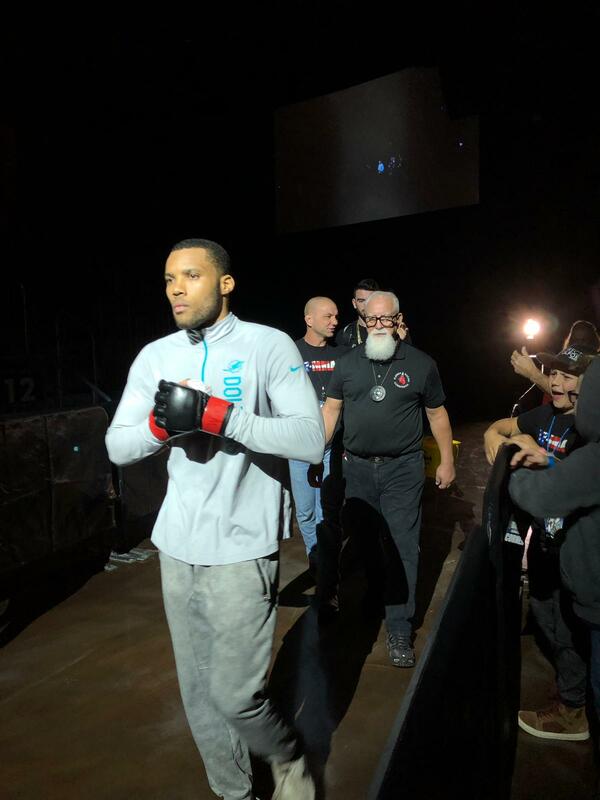 In the other welterweight bout, out of the blue corner, Ramon Butts from Jacksonville, Florida, representing Team Ares MMA faced off against Perry St. Louis, in the red corner from American Top Team in Sunrise, Florida. 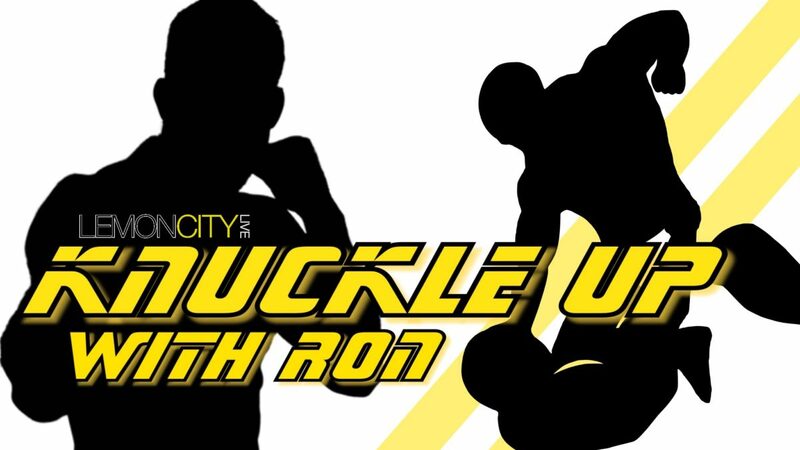 Ramon showed skill with his stand up, implementing heavy kicks and jabs. However, at one point, St. Louis went for the takedown and the two fighters were locked in the longest “North-South” position ever. 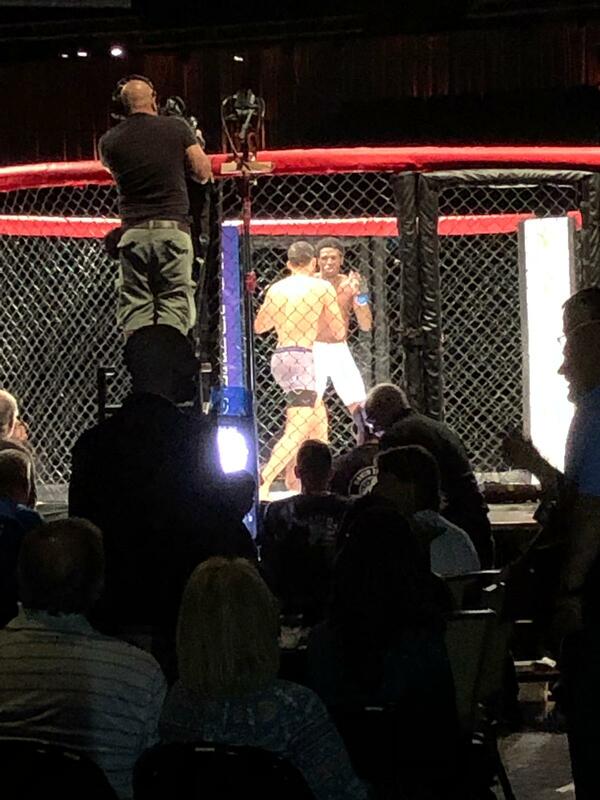 The next thing you know, the fight is over and Perry St. Louis wins via TKO. The lone bantamweight fight was a one-sided beat down. 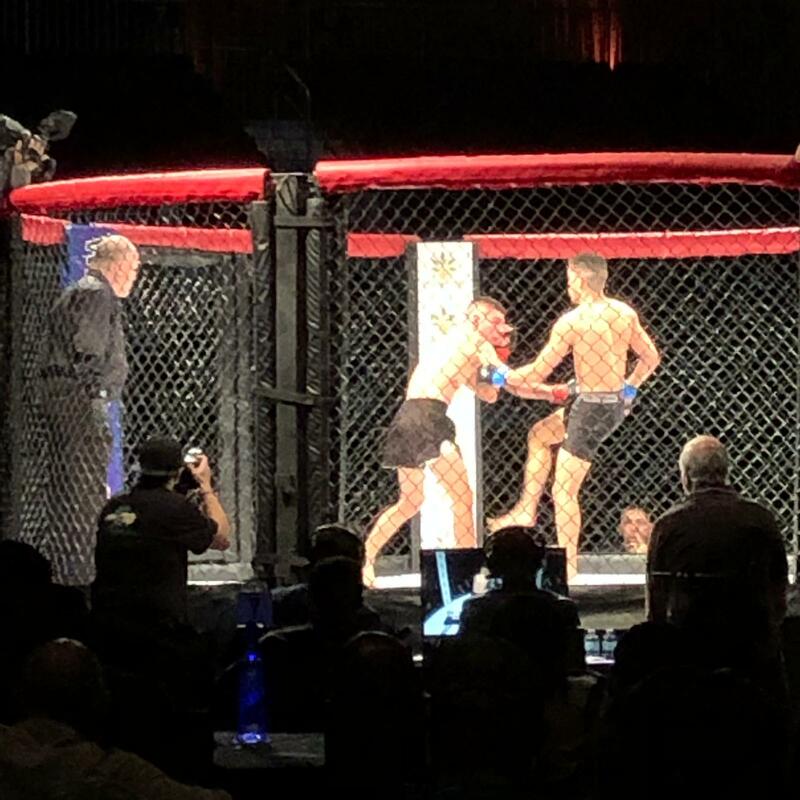 It was Jerimiah Fernandez out of Cape Coral vs Danny Sabatelo from American Top Team of Chicago. It wasn’t as exciting as it could’ve been. Sabatelo used his grappling to land hard slams. Fernandez had no answer for this. His striking was better, but he had nothing to counter the takedowns. Sabatelo didn’t secure any submissions, although he could’ve pulled off a rear naked choke. Despite that, Danny Sabatelo won this bout easily. The co-main was a title fight in the flyweight division. 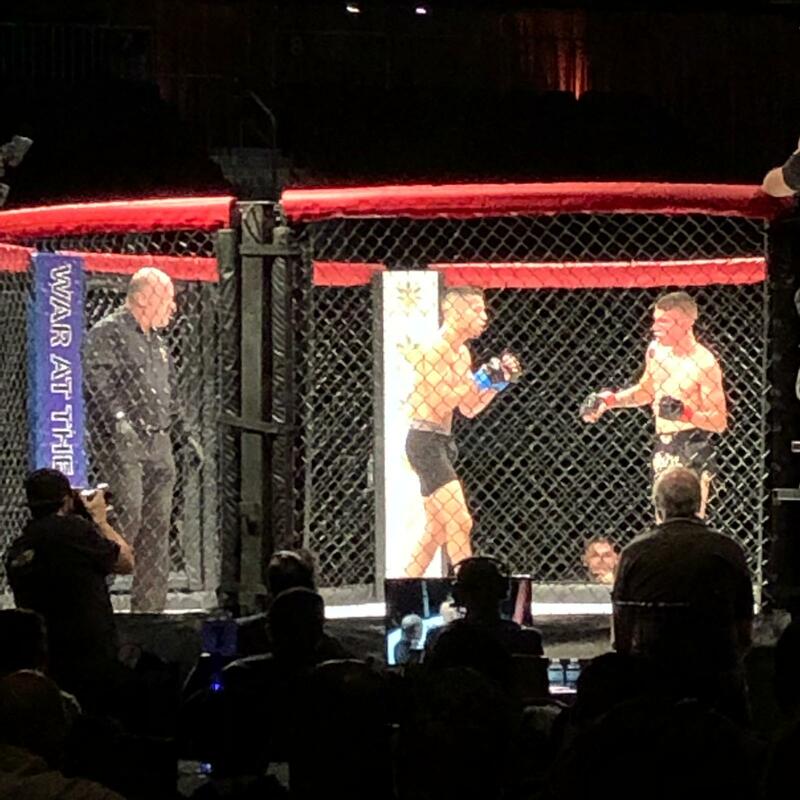 In the red corner, from Miramar, Christian Ynastrilla from American Top Team Miramar faced Edwin Soria, in the blue corner, from Miami. This was an intense back and forth slugfest. Ynastrilla was a great technical striker with good Brazilian Jiu-Jitsu, while Soria was a brawler-takedown artist. 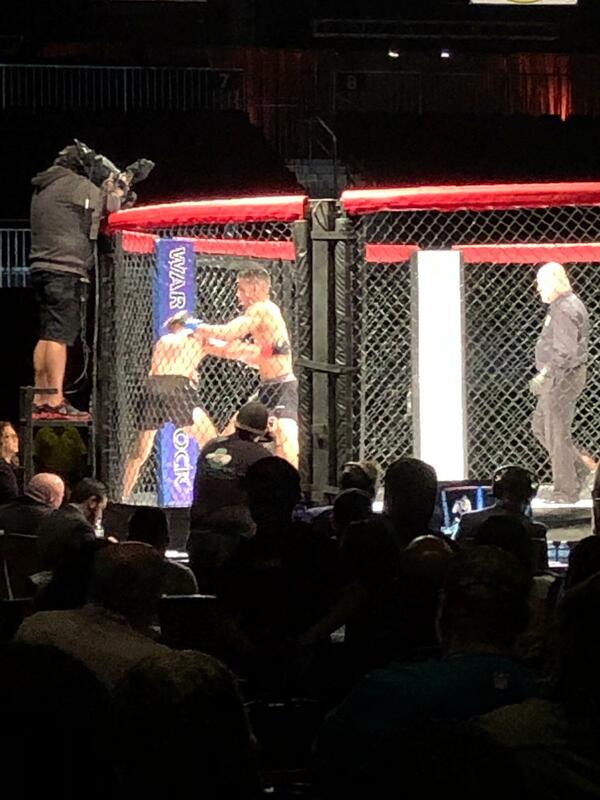 Ynastrilla did a great job using combos and jabs against Soria, but it seemed like the angrier Soria became, the more brutal the fight became, with which Ynastrilla couldn’t keep up. In the end, the belt was given to Edwin Soria. The main event, between Cuban born, Yosdanis Cedeño, and Brazilian, Felipe Douglas was a very exciting fight at catchweight, with both fighters coming at 160 lbs. It was a good back and forth, but neither fighter dominated. Yosdanis attempted takedowns but Felipe was too slippery. In the end, Felipe took the decision. 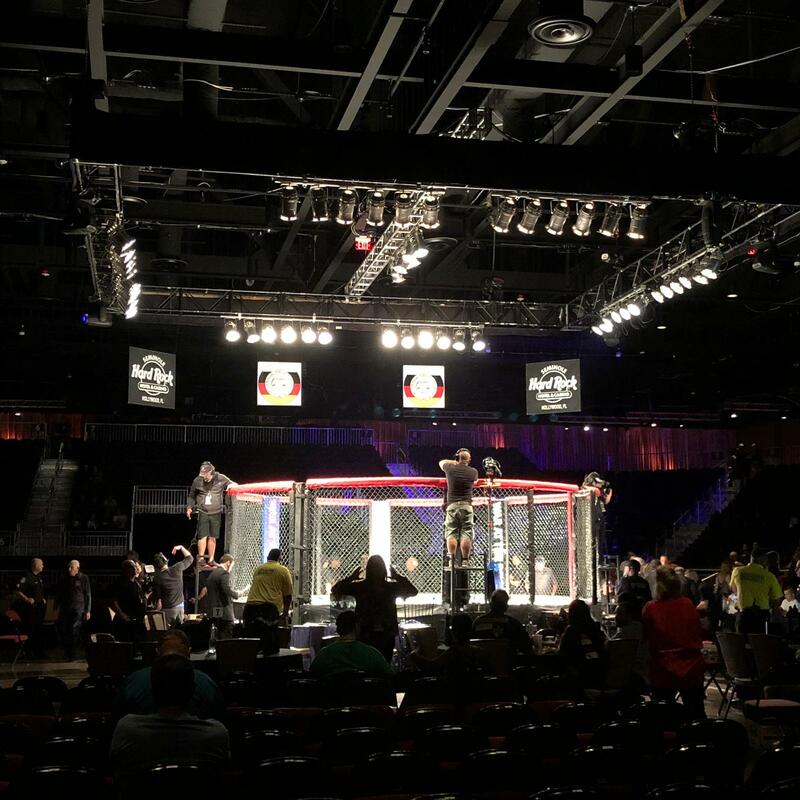 I highly recommend any MMA fan to come out to these local events. Come out and show support for the sport you love. A lot of these fighters thrive on your attention and train hard to be noticed. These fights are always fun and a great way to get closer to this growing sport.